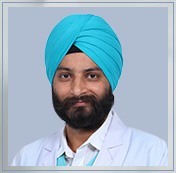 Dr Harpreet Singh is working as a Consultant Spine Surgeon. He has been awarded a gold medal in M.S. Orthopedics in the year 2009.